Help them spread the word! All girls are welcome & it’s FREE! Check out this awesome video about Skate Rising created by Austin Urlocker after our very successful Phoenix event! 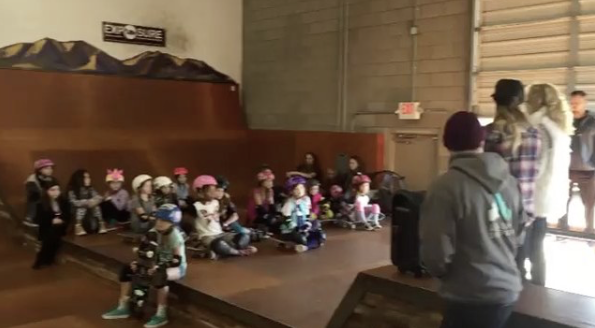 The January Skate Rising Phoenix event had 27 girls show up and made 50 backpacks full of school supplies for an after school skate program for underprivileged youth called Skate After School. Every girl at the event committed to stand up to bullying by signing anti-bullying contracts! Thanks for sharing this awesome update Calli. 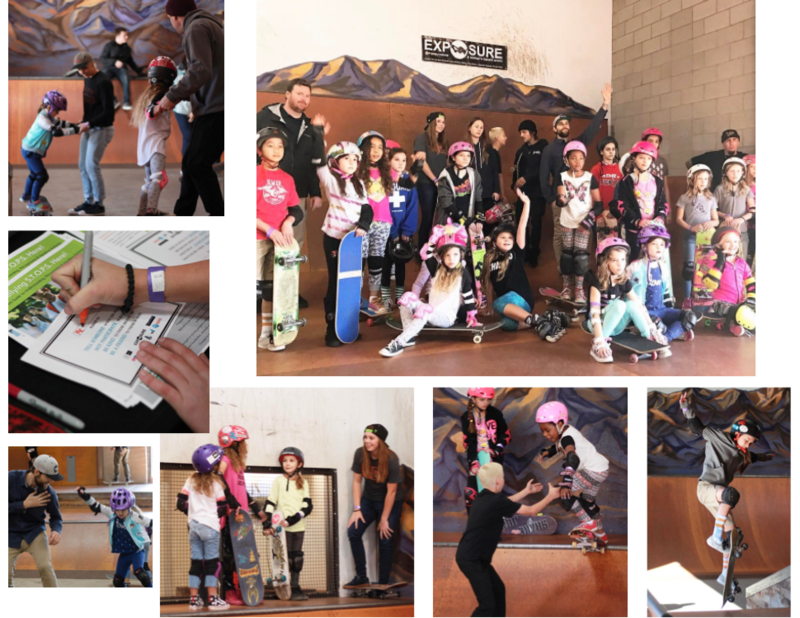 Calli Kelsey is the organizer & “force” behind Skate Rising – EXPOSURE Skate’s youth program for girls – she can be reached at calli@exposureskate.org if you have any questions or want to volunteer. 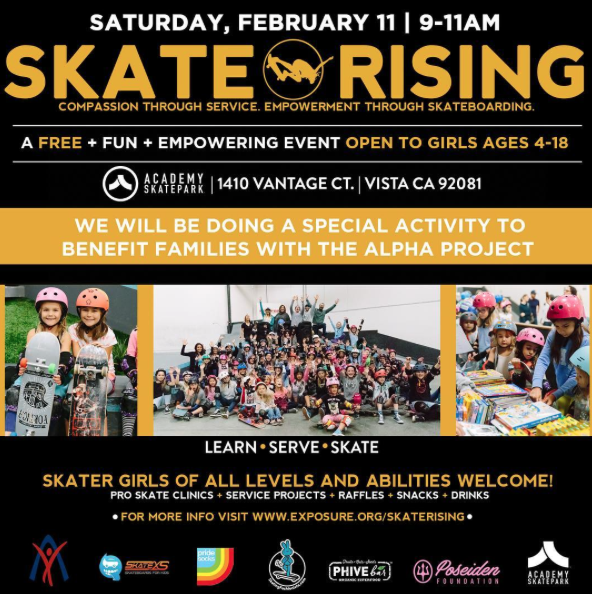 The original Skate Rising in San Diego area is the 2nd Saturday of the month – below details for February 2017 event. If you’re in San Diego area, I hope to see you 2/11 at Academy Skate Park. More girls skateboard when they see stylish girls skating & get encouragement so share your stories too!